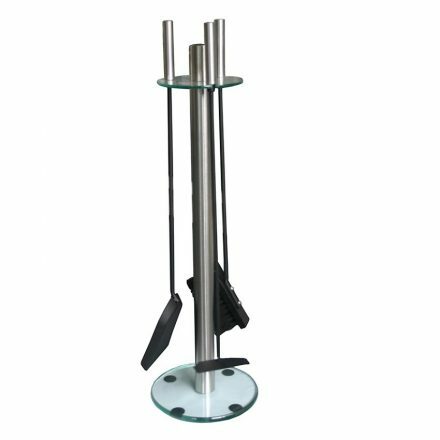 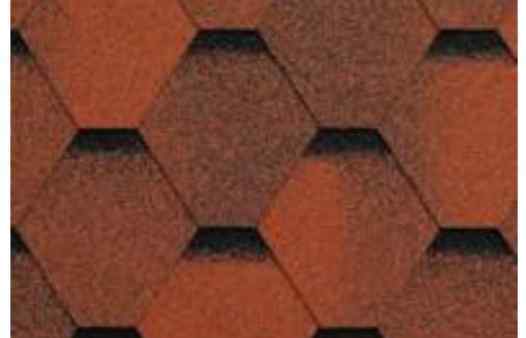 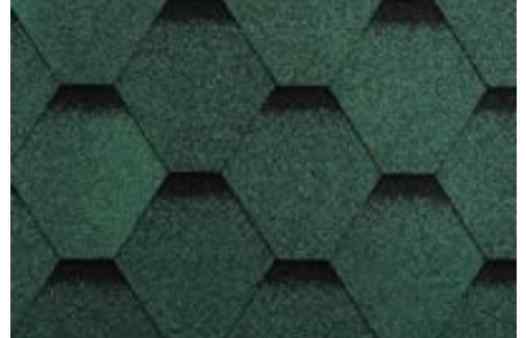 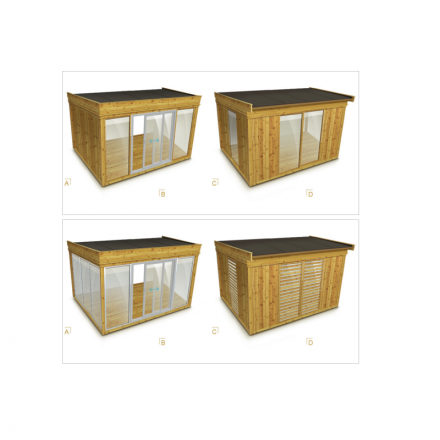 This product is spacious, warm and create a beautiful ambient area for entertaining and relaxing. 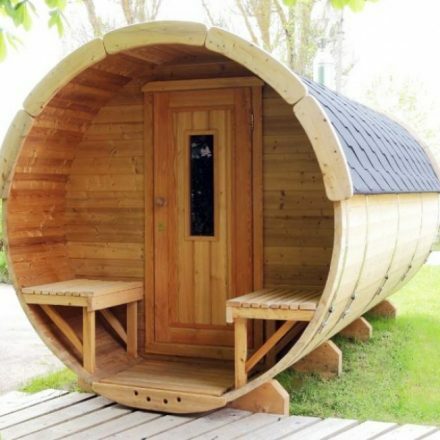 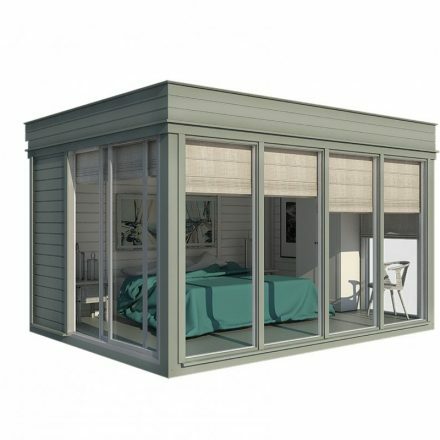 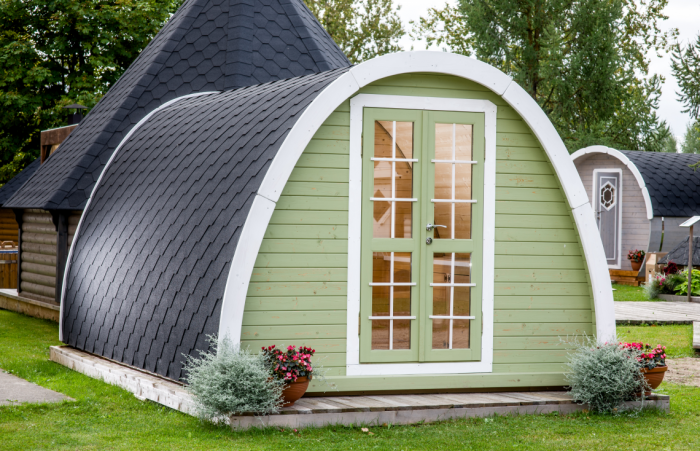 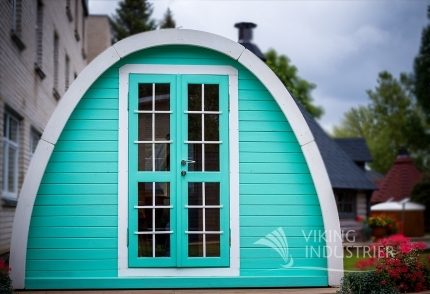 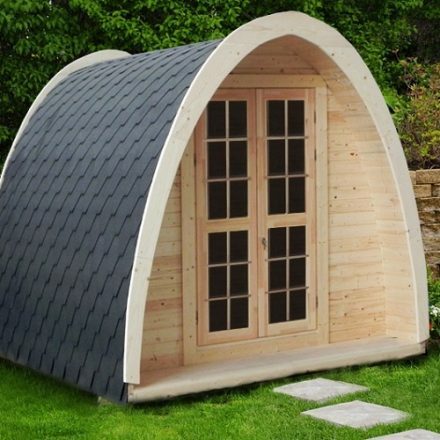 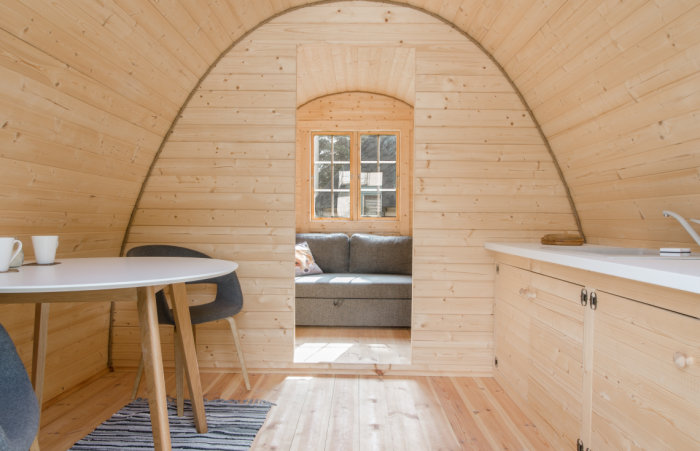 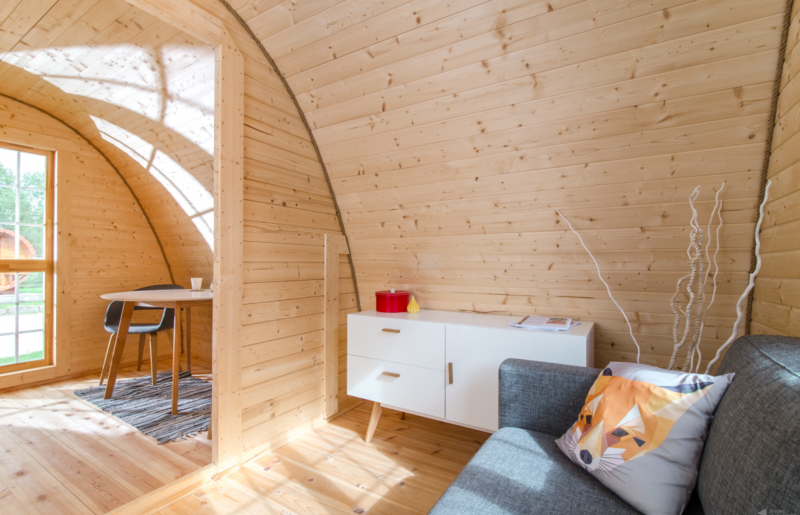 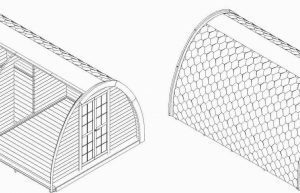 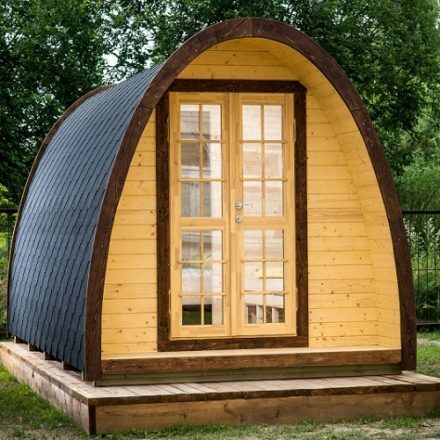 Insulated Camping Pod can be used all year round, however the winter is when these superb buildings really come into their own. 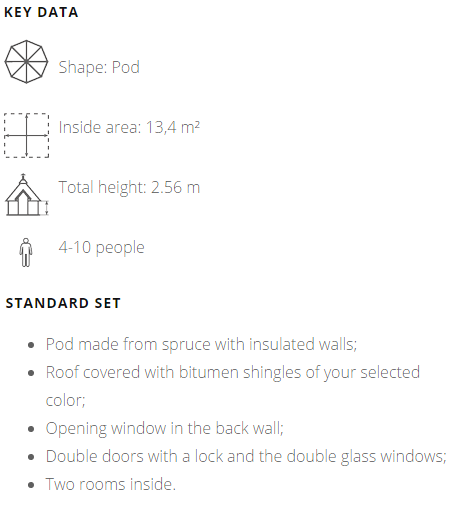 The camping pod is delivered to a customer not-assembled, but fully complete, with detailed assembly instructions and drawings, and packed on a pallet (KIT). 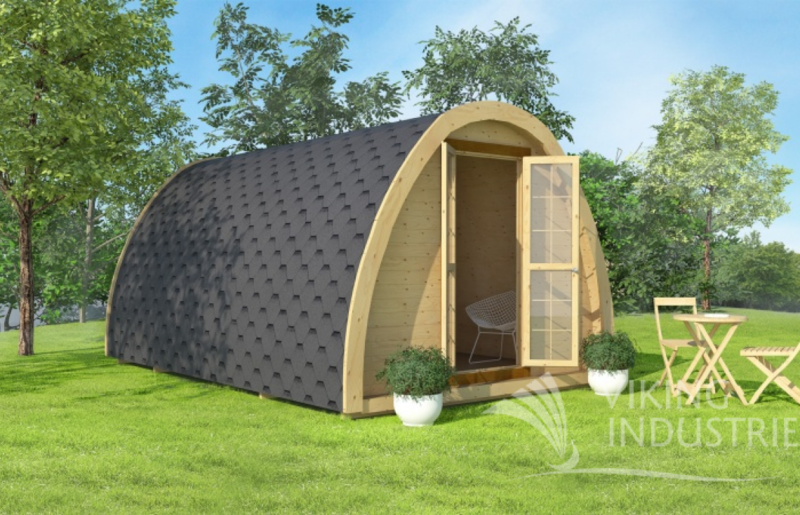 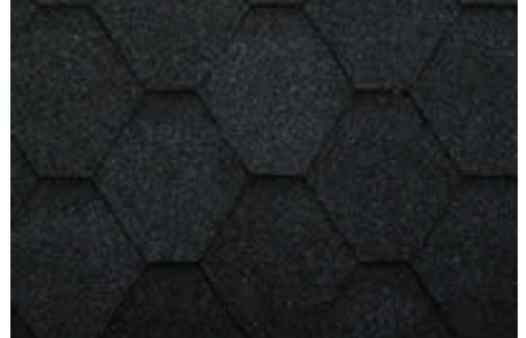 Size of a KIT (L x W x H): 4.80 x 1.20 x 2.60 m.
INRÉTTINGAR OG HÚSGÖGN ERU EKKI Í GRUNNVERÐI.